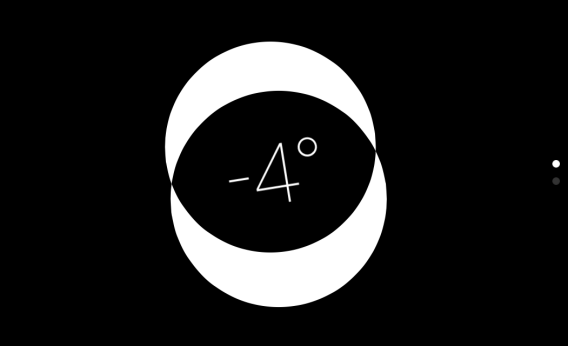 iOS7 tips: Compass app secretly has a level, and it's addictive. Caution: Using iPhone as level may be addictive. Apple’s new mobile operating system was released just Thursday, and already it has been analyzed from just about every angle. But somewhere in the parallax between Jony Ive’s flat icons and automatic app updating lies a nifty little trick that has gone largely overlooked. That may be partly because it’s buried in the Compass app, a tool that comes in handy very rarely, except perhaps when spelunking. Not only that, it’s on the second page of the Compass app. Who would have guessed the Compass app had a second page? Well, it does, and on that page is something unexpected: a level. You might be thinking: Why would anyone need a fancy iPhone to measure various surfaces’ flatness when you could just use a good old-fashioned level? The answer, of course, is: Why would anyone need a fancy level when you could just use a good old-fashioned iPhone? Naturally, as soon as I learned about the feature from a friend’s Facebook post, I set about leveling everything in my apartment. One picture that I had long suspected was listing leftward proved indeed to be two degrees off-kilter. Another was exonerated. My flatscreen TV was off by a single degree, so I tweaked it slightly in the other direction and measured again. Success! And you cannot imagine my pride upon discovering that a set of wall-mounted shelves I installed myself was in fact precisely parallel to the ground. Measuring relative angles with the iOS 7 level. Once all of the surfaces that were meant to be flat had been duly flattened, I set about measuring the angle of things that I knew to be angled. I learned that I tend to hold my iPhone at roughly 35 degrees. My cat’s tail hovers at around 20 degrees much of the time, but can leap to upwards of 70 degrees when he senses that I’m about to pet him. Unlike a basic brick-and-mortar—er, plastic-and-ethanol?—level, the iOS7’s digital level is also adept at measuring relative angles. Hold it poised at the angle you want to set as the baseline and then tap the screen, and as you tilt it the numbers will reflect the degree of difference between that angle and the current one. A waste of time, you say? Well, sure. That’s what smartphones are for, isn’t it?